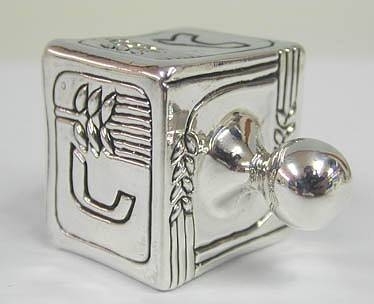 Wheat Dreidel A 925 sterling silver square Hanukkah Dreidel, Judaica. 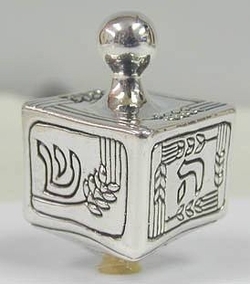 This Dreidel is square in shape and ornamented with barley decorations all around. Measurements: Length: 28mm. / 1.102in. Width: 28mm. / 1.102in. Height: 47mm. / 1.85in. Weight: 22gr. / 0.707oz. Marks: 925 for sterling silver.